Final Fantasy is the biggest-selling RPG franchise so it’s a foregone conclusion that when it branched out into other mediums it would be a huge success, right? Well I think we all remember one of its first attempts, the computer animated movie Final Fantasy: The Spirits Within in 2001. It bombed at the box office, leaving Square (at the time) with a net loss of some 94 million dollars. Yeah… oops. It wasn’t that it was a terrible movie. I wouldn’t say that it was great either, but it wasn’t horrible; however Square failed spectacularly in two ways: a) they didn’t realize the limited appeal of the movie to the general population, and b) they made the movie different enough from the Final Fantasy games that it also had limited appeal to the core audience of the games. It might be fair to say that it tried to be all things to all people and in doing so managed to satisfy none. But what Square failed to do with The Sprits Within, .hack would manage one year later and thus become king of financially viable tie-ins. 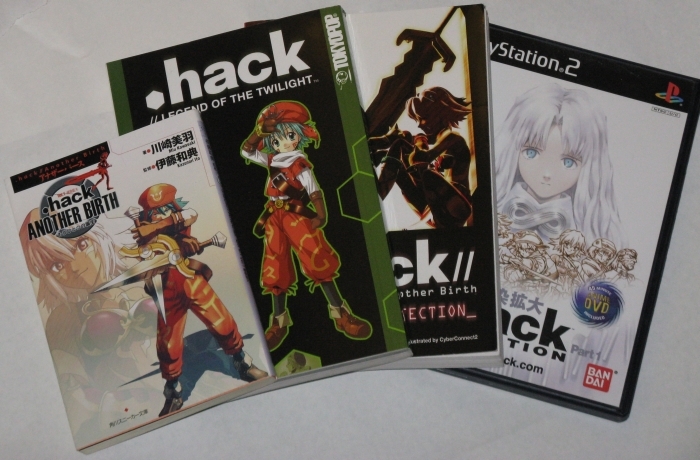 “Project .hack” (pronounced “dot hack” for anyone who wasn’t sure) started out as a joint venture between CyberConnect2 and Bandai and initially consisted of an anime, .hack//Sign, the .hack//Liminality OVAs, packaged with the games, and a PS2 RPG divided into four parts, .hack//Infection, .hack//Mutation, .hack//Outbreak, and .hack//Quarantine, released over the course of 2002-3 in Japan and 2003-4 in North America. Now here’s the interesting thing: the game takes place in the same world as the anime and follows after the events therein, though with a different cast. The story centers around a near-future virtual reality MMO called “The World” and the mysterious incidents that blur the boundary between the real world and the online universe of The World. It isn’t necessary to have seen the anime to understand the storyline of the game, but having seen it will expand the experience, as the game has many little references and nods to the anime, as well as a few cameos by Sign cast members. See the strategy there? How many gamers do you think went and checked out the anime once they started playing the games? I know I did. 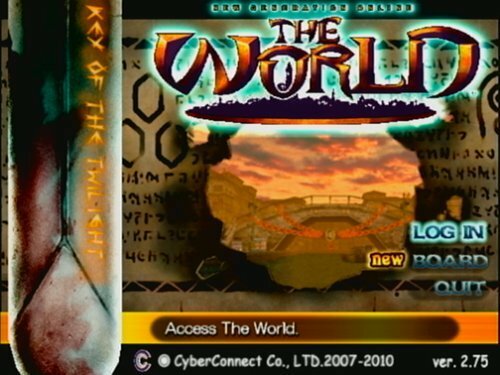 If .hack was trying to reel in new fans, they knew not to go so far afield as Square did with The Spirits Within. Anime, manga, and RPGs share much of the same fanbase in North America as well as in Japan, and .hack capitalized on that. The series spawned a number of anime and print-based spinoffs: the .hack//Legend of the Twilight manga, which is set four years after the games and features many familiar faces; the .hack//Legend of the Twilight anime; and a slew of Japanese novels, a few of which were translated, such as .hack//Another Birth, a retelling of the games from the perspective of the female lead, BlackRose. While the series certainly didn’t move the number of copies a Final Fantasy game would, Bandai turned enough of a profit on the whole thing that they decided to do it all over again in 2006 with the “.hack Conglomerate,” consisting mainly of the .hack//Roots anime and the PlayStation 2 .hack//G.U. trilogy, Vol. 1 Rebirth, Vol. 2 Reminisce, and Vol. 3 Redemption. The two are even more connected than the anime and games of the original .hack, as both Roots and G.U. tell the story of the same protagonist, Haseo, with the games picking up where the anime leaves off. .hack… it’s not just a game. There were some bumps in the road, of course. Since the .hack games are about an MMO, Bandai decided to try to create a real MMO, .hack//fragment, but it performed poorly in Japan and the servers were shut down after only a year. Again, I would venture that part of the problem was that they strayed from their core audience, though there were also some truly grandiose problems with game design. Square Enix, meawhile, did finally get itself sorted out and went on to create the “Compilation of Final Fantasy VII,” a franchise within a franchise, but while Final Fantasy VII prints money, at least the makers of .hack can say that they did it first.